With the new renovation of Paradise Hotel, comes a new and exciting menu with the vibrant new offerings boast a modern European taste to compliment the Hotel’s new look. Released at their ‘Eat and Tweet’ event last Tuesday, the new menu places a focus on using local and fresh ingredients. Newly appointed Head Chef, Matthew de Cean, and Executive GM Hotel Chef, Chris Wonton, formulated the new menu to offer the perfect family-dining experience for patrons. Their passion is to make sure they are providing good quality food with fresh and local produce in a family and relaxed environment. “Our vision was to create an irresistible variety of mouth-watering dishes utilising the best local produce. 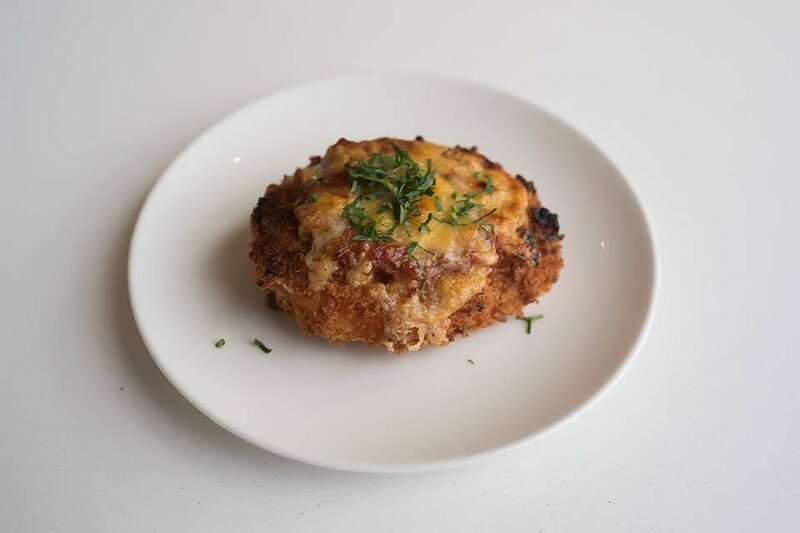 We’re confident there’s a dish to please every member of the family. “Here in South Australia, we’re fortunate enough to have access to amazing produce and as a chef, it’s my duty to utilise these ingredients and showcase what our beautiful state has to offer.” Matthew de Cean said. The new menu consisted of nine meals for us to try and had a focus on local produce, with fresh seafood coming in just that morning from Coffin Bay and the Spencer Gulf. The fist dish served was the Cured Meat Platter. 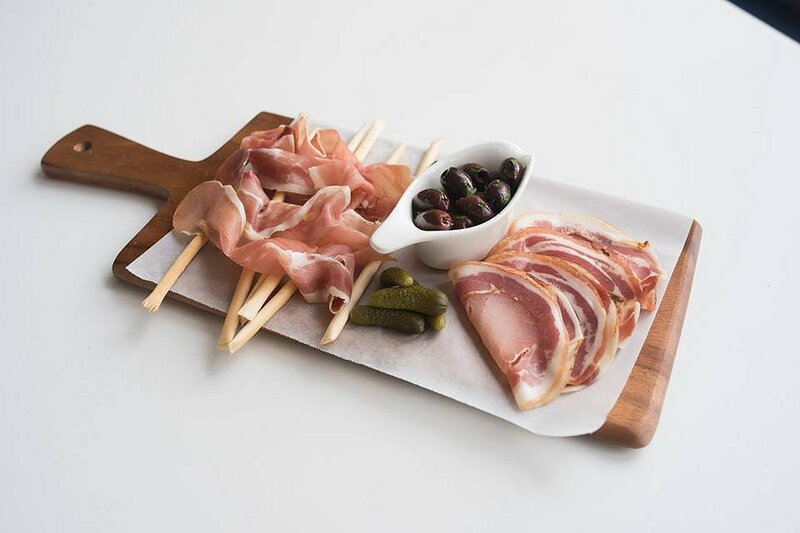 Containing olives, pickles, two types of cured meats and breadsticks, this dish was the perfect starter to our tasting. The cured meats were smokey, and were the perfect pairing for the sweet and crunchy pickle. The tang of the olives was also a delight and all contrasted well with the crunchy thin breadsticks. The Shaved Porchetta Plate was next to taste. The Porchetta was thinly sliced and wonderfully seasoned. 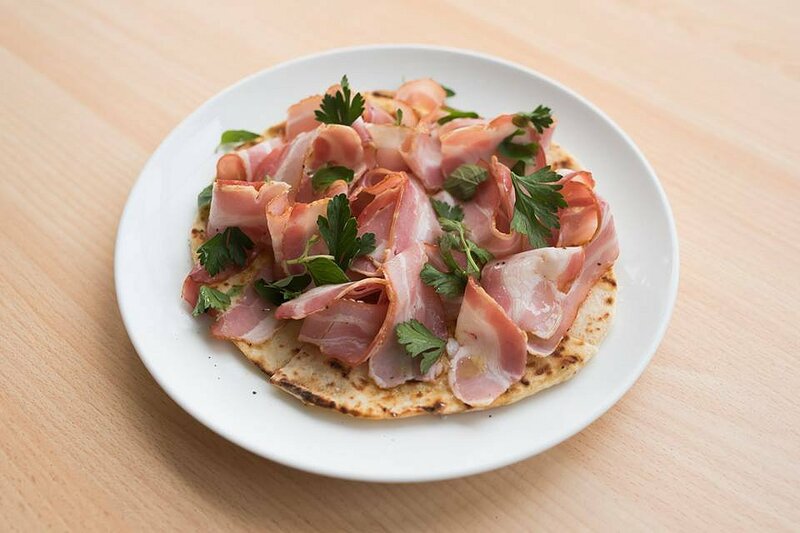 Containing a BBQ smoky flavour, the meat was well balanced with the olive oil, the pita bread and the coriander garnish. Even though was a meat focused dish, it was surprisingly fresh and made me want to come back for more. I could have been happy just to fill up on this dish all night, but I knew there were more exciting dishes to come. The next meal was the SA Coconut Prawn Cutlets. With a spicy chilli based dipping sauce, the prawns were a fusion of Asian and tropical flavours. The coconut coating of the prawns were the prominent flavour of the dish and the prawns were lovely and fresh. This dish contained lovely balancing textures of the crunchy coconut coating and the soft prawn meat inside. The Greek Lamb Salad was a lovely dish that seemed to come straight from the Mediterranean. The thinly sliced lamb was cooked to perfection as it was lovely and soft which melted in your mouth. 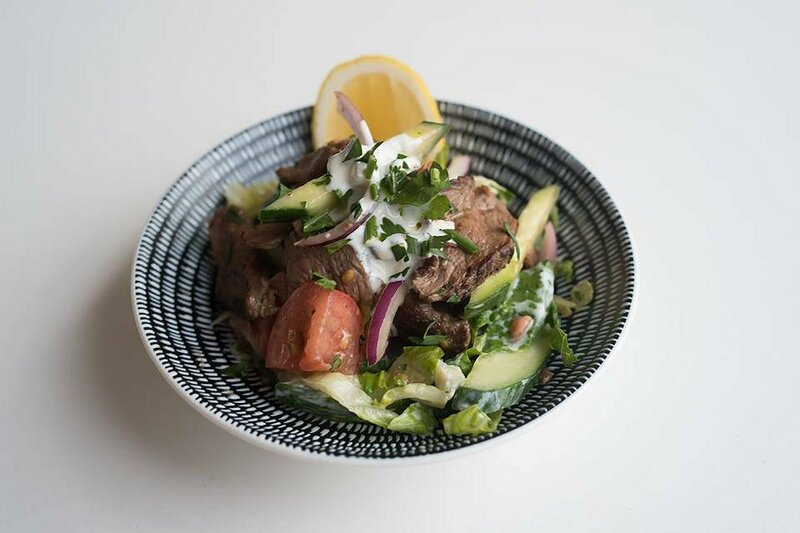 The beautiful tzatziki dressing had a slight tang, and the crunchiness of the fresh salad tied the textures of the dish together, and was a perfect balance of strong and softer flavours. The Haloumi Fries on the night were partnered with the Greek Lamb Salad. The fries were slightly sweet and balanced by the salty coating. The fries were cooked well, having a slight outer crunch as you bit into the soft cheese centre. The Mini Vegetable Parmigiana was next to taste. The pumpkin slice centre was battered with Parmigiana topping, which had a fresh and slightly sweet flavour combination and was overall a nice balance of sweet and savoury. The tomato sauce on top also added another sweet and savoury element to the meal with the melted cheese and crumbed coating. 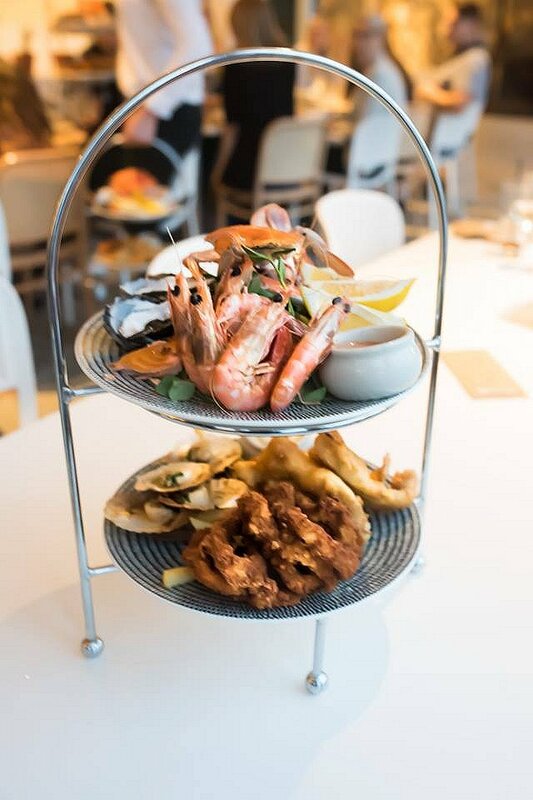 Their signature dish, the Seafood Platter, featured local blue swimmer crab, SA fresh king prawns, smoked salmon, natural oysters, grilled scallops, crisp fried squid and ale battered flat head. Wow, this dish really had everything and no wonder it was a favourite of the night. All the produce was extremely fresh and beautiful to eat the amazing variety of seafood. The seafood didn’t have an overwhelming fishy taste and was quite refreshing, while the batter on the flat head and squid was tasty and not too thick. If you are a seafood lover I would definitely recommend this dish as I just know it will definitely be a hit amongst many customers. The final dish of the night was a Panacotta for desert. The wobbly jelly/custard consistency of the panacotta was creamy and sweet, with a lovely hint of vanilla bean. The smooth creamy dessert was balanced well with the tang of berries and crunch of nuts that topped the dish. Overall was a lovely and refreshing dish to finish off the night. All dishes of the night were superbly prepared and were beautifully presented; containing a wide range of flavours that were enjoyed and devoured by all. There is no compromise on the menu and quality of the food, and Chef de Ceam aims to give guests an enjoyable experience. 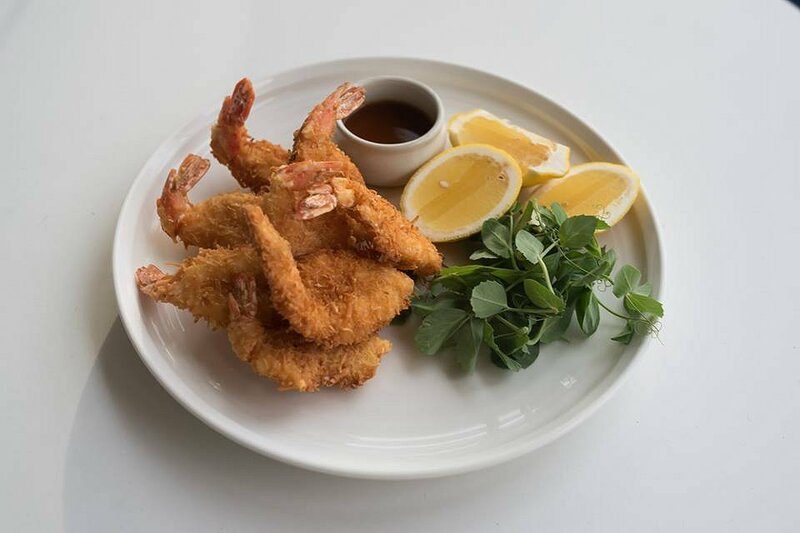 “Because we’re a suburban hotel with great food, we’ve kept our classic crowd favourites on the menu such as our Slow Roasted Scotch Fillet and Marinated Rotisserie Chicken”, Chaf de Cean said. Paradise Hotel’s new menu caters for all ages and dietary requirements, with multiple gluten free, vegetarian and share options available. 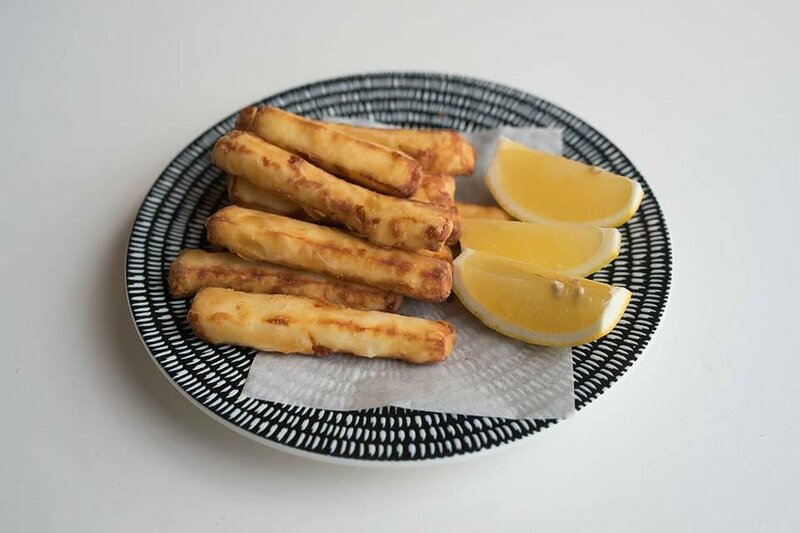 Located in Lower North Eat Road, Paradise Hotel prides itself on offering high quality food and services, in a welcoming, family friendly environment. So why not come and visit Paradise Hotel today for your next family meal? You are guaranteed to find something you will love.